Game of Thrones: On the Throne Podcast | Listen Free on Castbox. Every "Game of Thrones" Season 8 episode researched, explained and expanded upon in an hour or less: That's what we do. On The Throne isn't a recap show, It's a community-fueled rocket-ship of key information that worships the "Game of Thrones" fan. Discover each episode's overarching themes, unlock the mysteries of Westeros and join thousands of listeners who've followed us from our hit "Westworld", "American Gods", "True Detective" and "Taboo" podcasts. 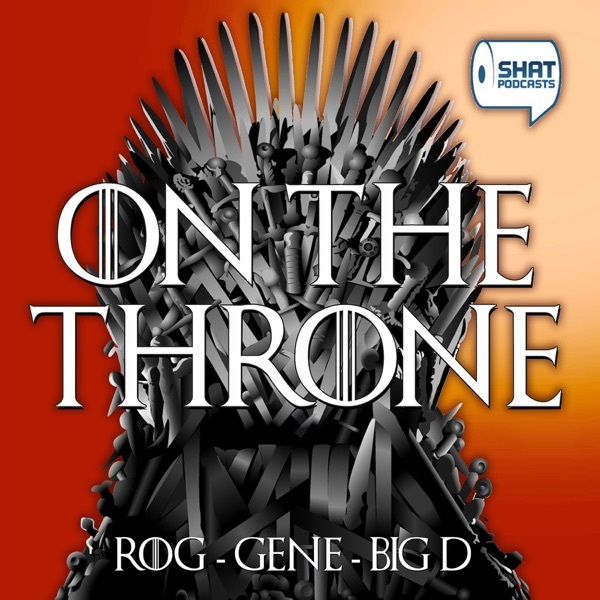 With humor, wit, knowlegde and a deep love of the big and little screen Rog, Big D and Gene give deep, thoughtful, conversation on the TV shows or movies they discuss. I will follow them to Pariah, London, Westoros, etc. Best podcast guys on the web. This review is a great review. There are some reviews that are good, but this one is simply great. Easily a 5 star review. Dare I say it is the best review ever? Yes I will. It is the best review ever! But, the Shat guys are just OK. YAYYYY!!! Been following Rog, Big D & Gene since their Westworld podcast... they're the best! Looking forward to their Deep Dives into GoT!